Oh yeah! Loving the Why Not? 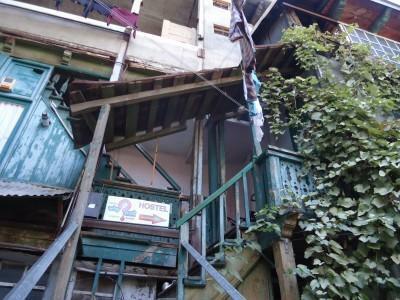 Hostel in Tbilisi, Georgia! 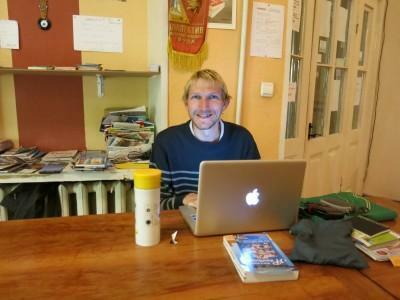 You’ll know I’m a hostel freak when I go backpacking and I found a great place to base myself for over a month in Tbilisi, Georgia! The Why Not? 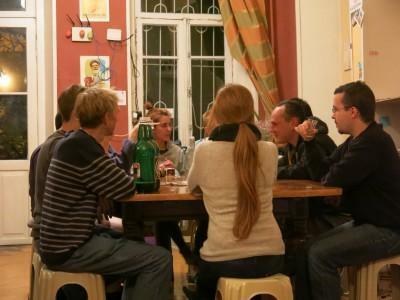 Legend Hostel is a superb place to socialise, hang out, sleep and relax. You can stay on the top floor in a massive room, basically one of the biggest dorms I’ve ever stayed in! 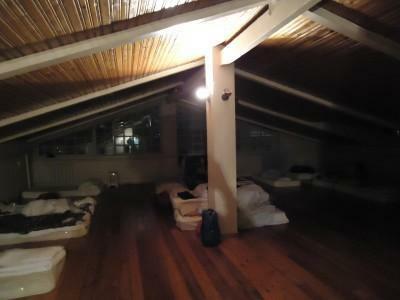 I counted 24 beds, which doesn’t quite beat my dorm in Manila a few years back, but it’s still pretty awesome. While staying there, my girlfriend and I met a bunch of cool people including the awesome Bamboo Cyclists. 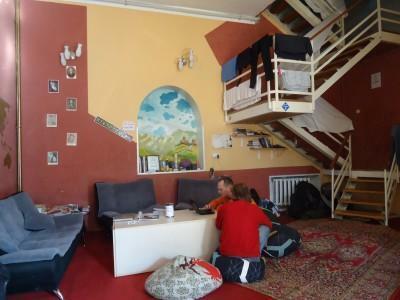 I’d say Why Not is the best hostel in Georgia. You always feel welcome here. Peter from Poland runs the show and even gave us a free red wine night in October. We also met 2 of the other managers in Batumi while getting our Azerbaijan visas, Maddy and Benji. Maddy helped organize the return of my bag when it went missing on a Turkish Airlines flight just over a month ago! 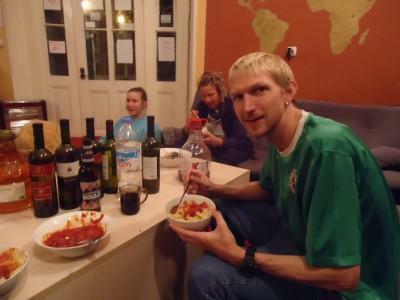 The staff are always on hand to help and that’s what makes it a great hostel. Chilling on the sofa in the cosy Why Not? lounge with Benji. 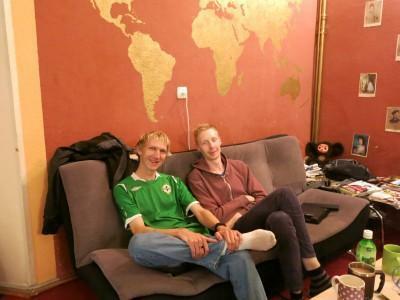 With a map of the world on the wall! 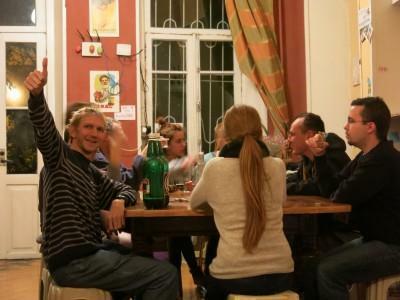 In my early days of travel I used to love party hostels and crazy hostels. These days, I love cosy lounges and a great place to mingle and relax. Why Not? has one of the best lounges to relax in. 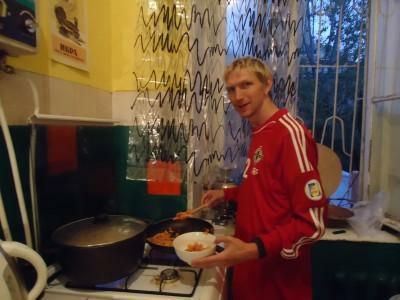 It’s a pet hate of mine for hostels not to have free breakfast, hence my love of all the South American ones I stayed in. Here at Why Not? there’s unlimited cereals, bread, tea and coffee. 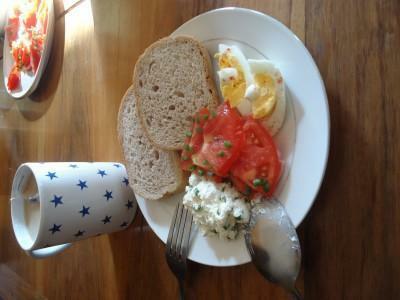 Plus you can choose eggs, tomatoes and cucumber for your bread or homemade jam and chocolate. Served from 9 – 11 am. Chilling out and eating at Why Not. The cosy lounge at Why Not? Hostel. Yes you’ll catch me in Why Not? typing, blogging and surfing away on the free Wi-Fi. 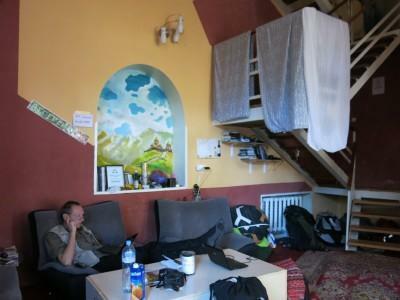 Loving the free wi-fi in the Why Not Legend Hostel in Tbilisi. While you should keep quiet after midnight, we’ve had a few decent nights in and out. You meet a load of cool people here in Why Not? A night out with the guests and staff of the Why Not? 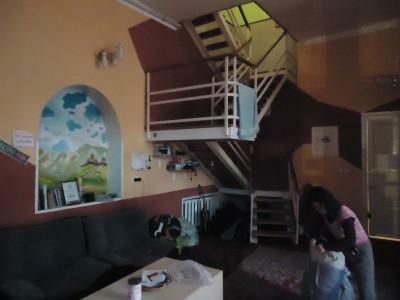 hostel in Tbilisi, Georgia. I’ve met people from about 20 different countries in the Why Not? hostel, some of them like Ying and Spela joined us on a tour to Davit Gareja. You can easily increase your social network here. 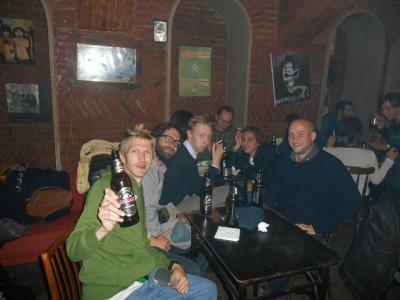 We also bumped into a few of the backpackers from Why Not in Azerbaijan and Armenia! 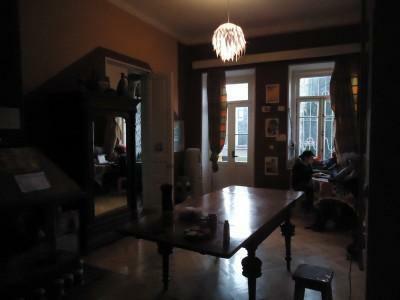 Why Not is close to the River, close to Rustaveli and close to Freedom Square. 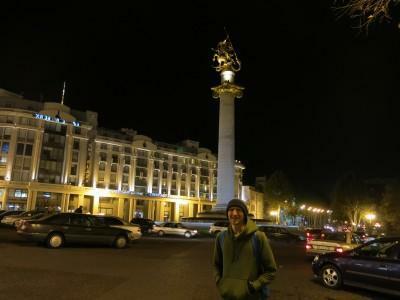 Ideal place to be located when exploring Tbilisi. Love the sign, the steps up and even the toilet!!! 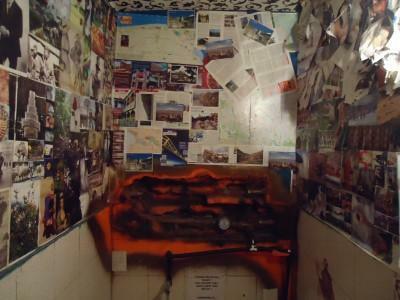 Funky art in the toilet at Why Not! Chill out zone – the Why Not lounge! Never too busy. Always free tea and coffee, a big fridge and ideal for cooking! Cooking in the kitchen at Why Not? Hostel! 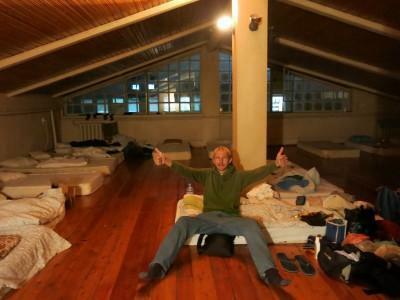 When we first moved into the Why Not Legend hostel I counted 22 beds being used in our massive top floor dorm!! Immense!! 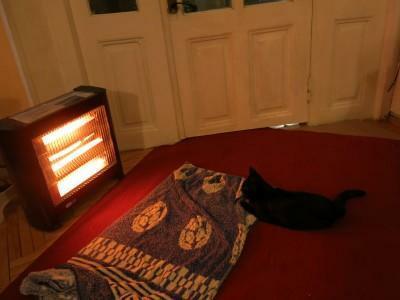 By the time we had moved out and Autumn had kicked in (just over a month later) there were only 2 other guys in there. Apart from a hostel in Manila Philippines (32 bed dorm) I can’t remember a dorm this big and spacious before!! Our crazy 22 bed dorm room home for a few weeks. ©2013 Don't Stop Living. All Rights Reserved.